MusclePharm All Day Stack at Bodybuilding.com - Best Prices on All Day Stack! COMBAT 100% WHEY is a low-carb, high-protein, great-tasting protein supplement with minimal fat and low sodium that delivers fast digesting protein sources to build and maintain lean muscle mass. 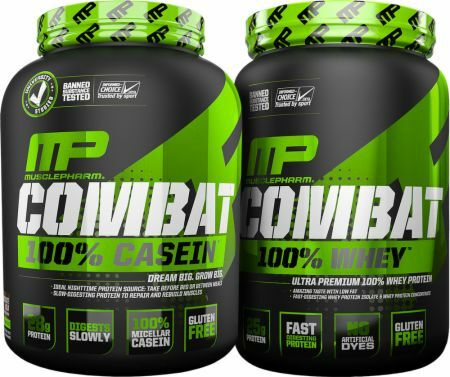 * Combat 100% Whey combines two of the fastest digesting, most efficient, and cleanest protein sources available: Whey Protein Isolate and Whey protein Concentrate. * Whey protein has the highest bioavailability among complete proteins (protein that contains a complete amino acid profile of all 9 essential amino acids) and also has the highest absorption rate among any other proteins. No All Day Stack Reviews Found. Directions for All Day Stack: Follow the directions on the products' label.